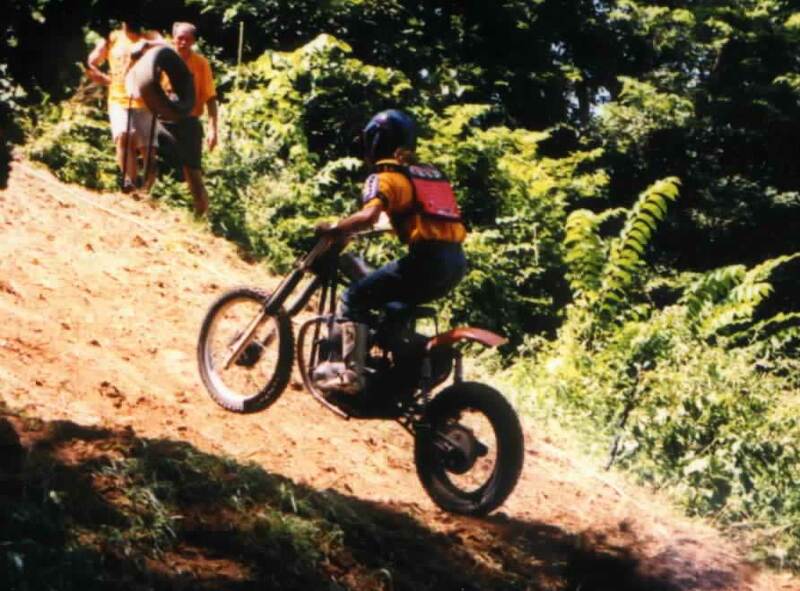 Many riders have said that the Rock River Riders hill is the toughest hillclimb in the Midwest. It is so steep that it is hard to stand on it. This makes for a lot of excitement as the riders try to find the fast line up the hill. 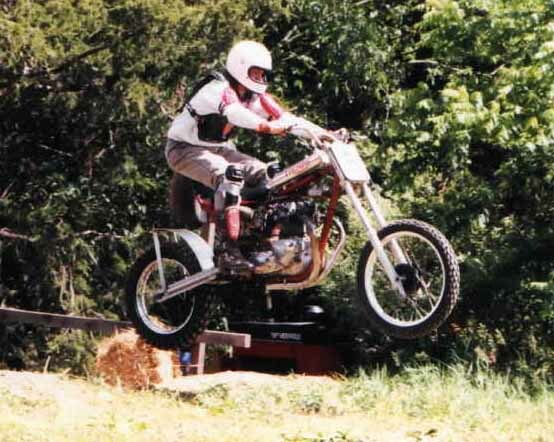 Hillclimbs are a race up a steep hill, where smaller bikes that don't crest the top of the hill are scored by how far they make it up the hill. The bigger bikes that go over the top are then scored by how fast they can climb the hill. Our hillclimbs are sanctioned by the A.M.A. and you must be an A.M.A. member to participate. If you are not an A.M.A. member and wish to participate in our hillclimb, we can sign you up with the A.M.A. at our club grounds on the day of the event, which will allow you to participate at any A.M.A. sanctioned event. As an AMA member, you will receive a very nice monthly magazine and contribute to legislative efforts to aid motorcycling. You also need to be a member of an AMA district. We can also sign you up as a member of AMA District 17, which includes most of Illinois. This also includes a monthly magazine which covers motorcycling competition events in the midwest. All classes are subject to having enough bikes to make a class.